Ancient spirits of evil, transform this decayed form to MUMM-RA, THE EVER-LIVING! 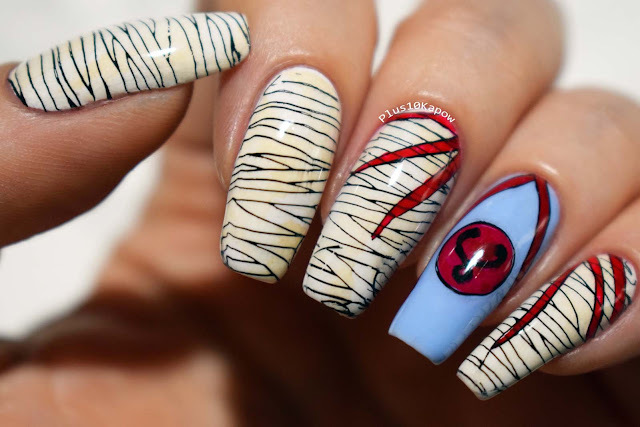 When I first spotted the Born Pretty Halloween L003 stamping plate, my eyes went straight to the mummy wraps stamp. I had an idea in my head but when I tried to do it, it just wouldn't work. I was getting pretty frustrated and when Jim asked what I was trying to do, I explained it to him and he said 'MUMM-Ra!' and it all just clicked into place. It made my brain come to life and I knew exactly how to do what I wanted to do. I used a base of Barry M Cotton and sponged on a bit of Barry M Lychee here, there and everywhere. Then I stamped the mummy wraps over 4 of my nails in Moyou Black Knight. I did 2 extra stamps of the mummy wraps but left them on the stampers and I painted a couple of the strands that were not touching each other, in Barry M Blood Orange and left them to dry. I started to paint my other nail while they were drying, I used Barry M Laguna for the base, then I stamped the circle using a different plate and filled it in with Barry M Blood Orange. Once that was dry, I flipped it over and painted Mumm-Ra's 2 headed snake symbol, or at least something that closely resembles it, from far away, hahaha, and I popped it onto the nail. Then I went back to the red strips I had painted and one by one I peeled them off the stamper and placed them in position on my nails. Weirdly, they looked so much better before I added topcoat and as you can see I must have been a little heavy handed in some places because I managed to smear it when I added topcoat (Seche Vite) but I still think it turned out awesome. Now to the nitty gritty of the plate. 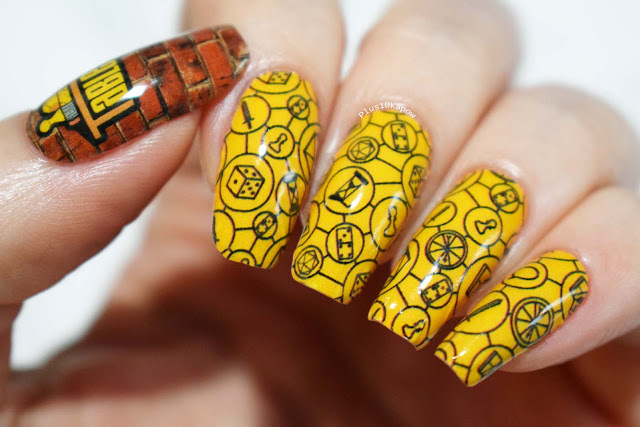 I had to do a little bit of testing with this one because I was going to do a second lot of nail art using some of the smaller images but try as I might I could not get any of them to pick up at all with my clear stamper. So I grabbed my marshmallow stampers, my sticky stampers and my firm stampers and tested with them all. On all of these I still only managed to get partial pickups. I was really disappointed because my second mani was going to be a Nightmare Before Christmas one and there are some super cute little images there. Now, I honestly think this might just be my plate. And I don't think it was my stamping technique because I tried it by having the scraper in different positions, doing it quickly, using the roll method and the firm press method, I just couldn't get it to work. It happens. 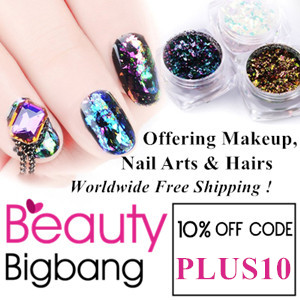 Plus, I have seen a few people put up adorable manis using these small images, so please don't let that put you off buying this plate as it has some great images on there. 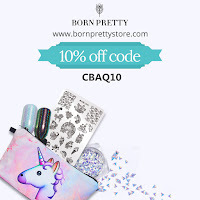 You can find it here for £2.26/$2.99 and don't forget that you can use code CBAQ10 to get 10% off all non sale items from Born Pretty!